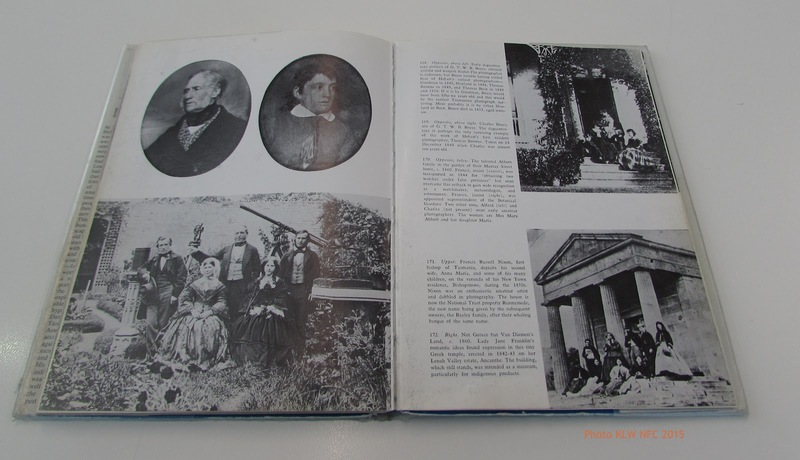 During the 1970s publishers John Ferguson of Sydney commissioned established authors to research and collect old photographs to be published as a series of books called “Victorian and Edwardian [insert name here of an Australian city, e.g. Sydney, Adelaide etc] from old photographs“. Patsy Adam-Smith, for example, compiled the Melbourne edition, Victorian and Edwardian Melbourne from old photographs in 1979. 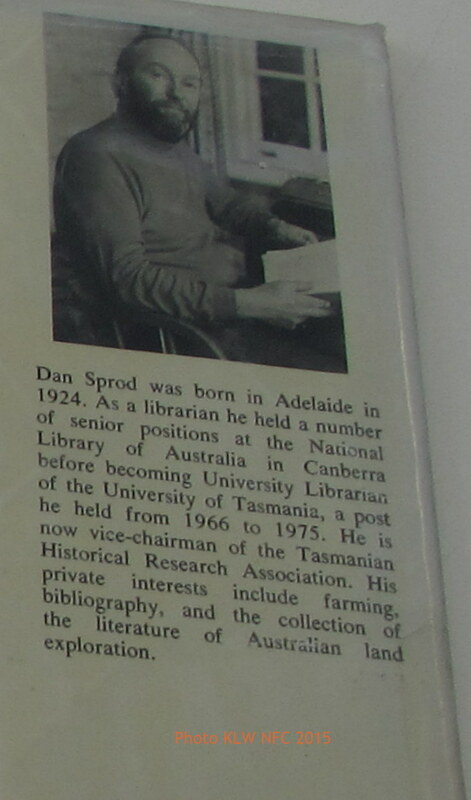 Dan Sprod was commissioned by Ferguson publishers to compile the Hobart edition in 1976. 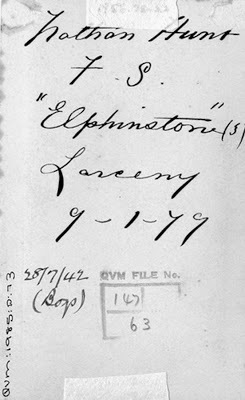 The draft papers of his research for this book, published in 1977 as Victorian and Edwardian Hobart from old photographs, are held at the National Library Australia, Canberra, where he was Chief Librarian during the 1960s. Librarian, author, historian, publisher and bookseller. Thomas Daniel (Dan) Sprod was born in South Australia in 1924. He joined the National Library of Australia in 1951 and held a number of senior positions, including Liaison Officer, New York, 1957-1960. 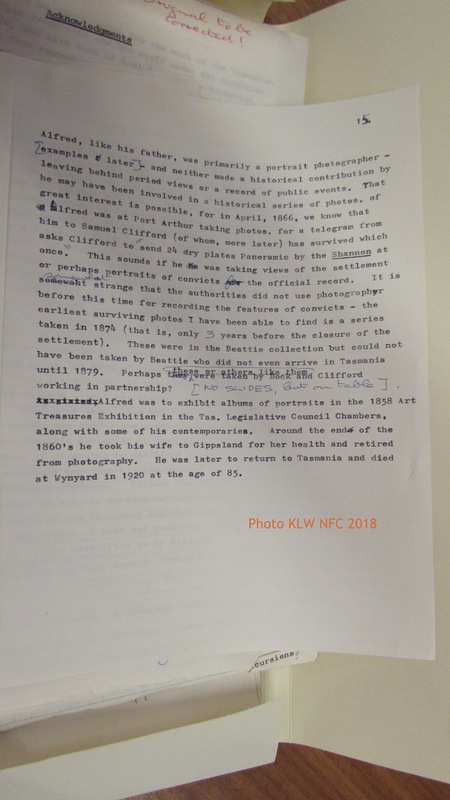 Upon leaving the National Library, he was appointed University Librarian, Morris Miller Library, University of Tasmania in 1966 and held this position until 1976. He was founder and manager of Blubber Head Press, 1978-1991, and owner of the bookshop Astrolabe Books in Hobart. In 1993, Sprod was awarded a Medal of the Order of Australia (OAM) for service to literature as an author, publisher and distributor of works on Tasmanian history. 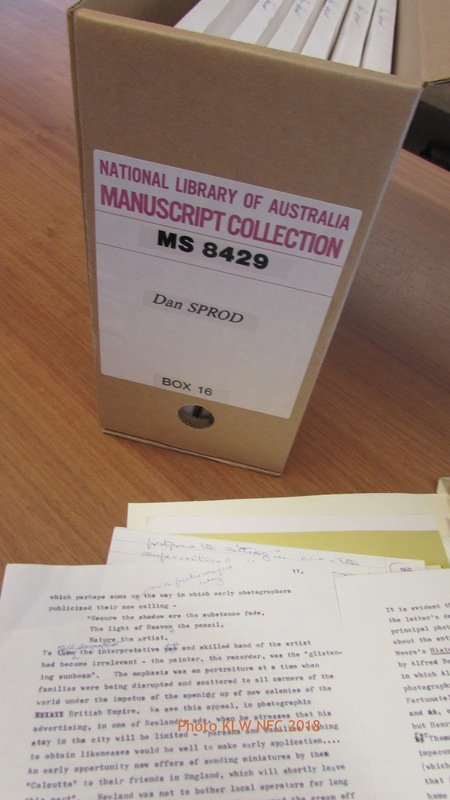 Papers of Dan Sprod, 1938-2009. Physical Description 8.28 m. (39 boxes) + 4 fol. boxes + 1 folder. 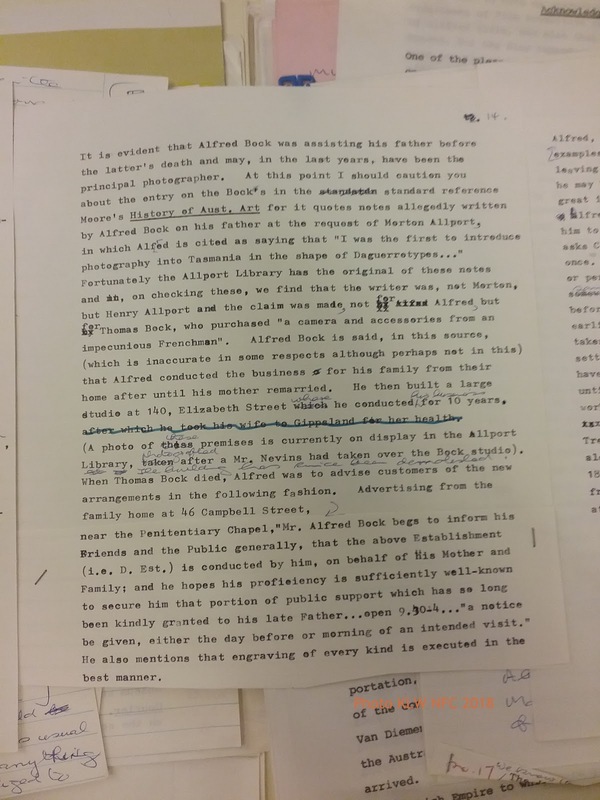 MS 8429, Box 16: Thomas J. Nevin is mentioned in the draft of Dan Sprod’s research on photographer Alfred Bock but is not mentioned by name in the book. Alfred Bock … built a large studio at 140 Elizabeth Street where he conducted his business for 10 year, (A photo of these premises is currently on display in the Allport Library, photographed after a Mr. Nevins had taken over the Bock studio). One of these two photographs – possibly the first one (below) – of Nevin’s studio (late A. Bock’s) at 140 Elizabeth St (below) with Nevin’s stamp impress at centre – is probably the one Dan Sprod saw on display at the Allport Museum, Hobart (located within the State Library of Tasmania). His informant there was no doubt Specialist Collections Librarian Geoff Stilwell, whose interest in Thomas Nevin’s photography formed the decision to exhibit a handful of photographs of prisoners in 1976 at the Art Gallery of NSW (see Catalogue by Daniel Thomas below) and more than seventy (70) held in Beattie’s collection at the Queen Victoria Museum and Art Gallery in 1977. 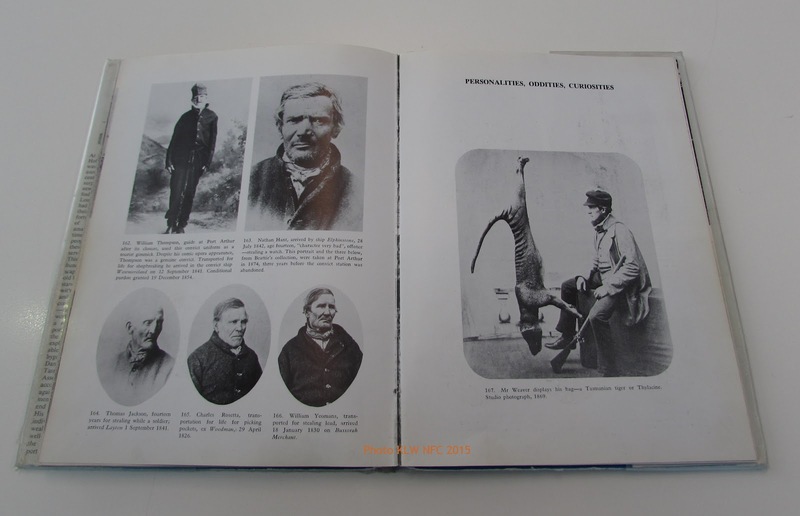 At the same time, a list of stereographs, studio portraits and prisoner mugshots by Thomas Nevin was compiled at the Tasmanian Museum and Art Gallery (online in 2005, now offline) from which these stereographs were copied in 2015 for our records. 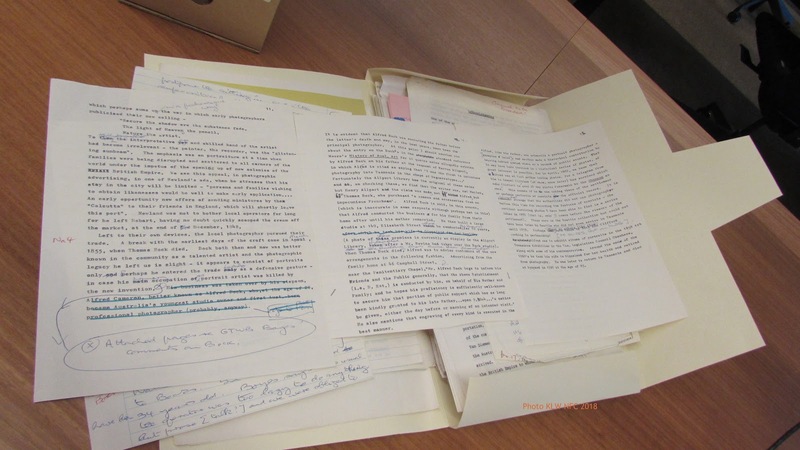 Although mentioned by Dan Sprod in his draft preparations in 1976, neither of these views made it into the final book publication. The first one here with the male figure was exhibited at the Art Gallery of NSW in 2015. Dan Sprod’s extended discussion of Alfred Bock’s activities at Port Arthur in 1866 raised the question of why the camera was not used to photograph the inmates at the prison there before 1874, the date written on the versos by convictarian John Watt Beattie in the eary 1900s of several dozen carte-de-visite photographs in oval mounts. That he [Alfred Bock] may have been involved in historical series of photos of great interest is possible, for in April 1866 we know that Alfred was at Port Arthur taking photos, for a telegram from him to Samuel Clifford (of whom more later) has survived which asks Clifford to send 24 dry plates Panoramic by the Shannon at once. This sounds as if he was taking views of the settlement or perhaps portraits of convicts for the official record. 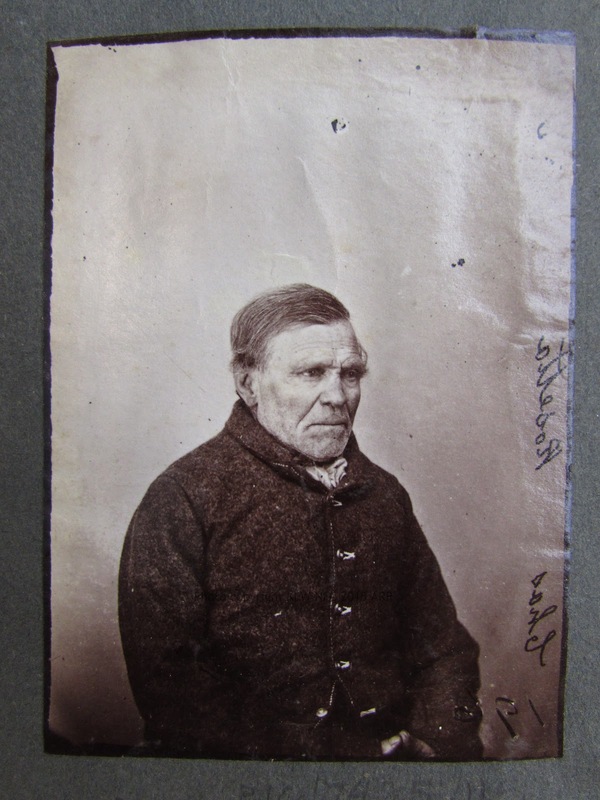 It is somewhat strange that the authorities did not use photography before this time for recording the features of convicts – the earliest surviving photos I have been able to find is a series taken in 1874 (that is, only 3 years before the closure of the settlement). These were in the Beattie collection but could not have been taken by Beattie who did not even arrive in Tasmania until 1879. Perhaps these or others like them were taken by Bock and Clifford working in partnership. Here Dan Sprod missed the obvious: the penny did not drop. He would have stumbled on Thomas J. Nevin as the photographer of the extant photographs of Tasmanian prisoners – termed “convicts” in tourism discourse – in the first instance if he had followed through with his connection of ” a Mr. Nevin” as the successor to Alfred Bock and to Samuel Clifford with whom Thomas Nevin had formed a close personal and professional relationship from the mid 1860s to 1878 when Clifford ceased photographic practice. 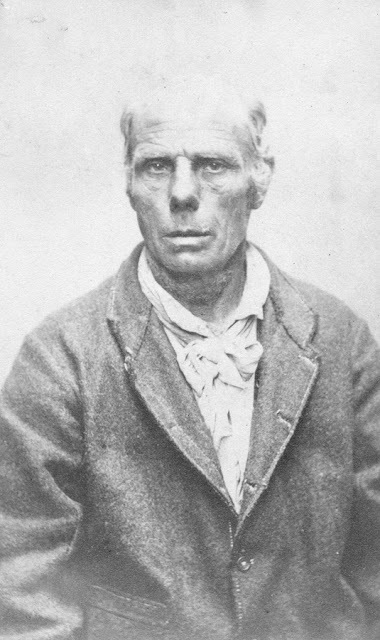 In the second instance, if he had recognized the photographs for what they were – contemporary police mugshots of offenders sentenced in the 1870s which were taken per regulations governing judicial photography in Victoria, NSW and Tasmania by 1872 – he might have realized the import of Thomas Nevin’s government contractor studio stamp on “convict photographs” held in several public collections including the QVMAG, TMAG, SLTAS and SLNSW. 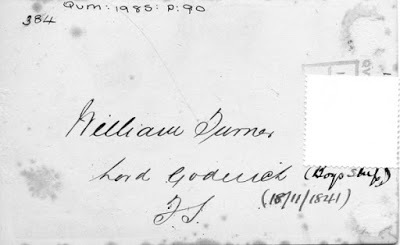 Not to mention the fact that three of the six photographs of convicts which he requested from the QVMAG – those of Turner, Hunt and Harrison – were copied and correctly attributed to Thomas J. Nevin when they were sent to the Art Gallery of NSW to be exhibited just a few months later, in June 1976, in plenty of time for Sprod to correct his draft before publication of his book in 1977. 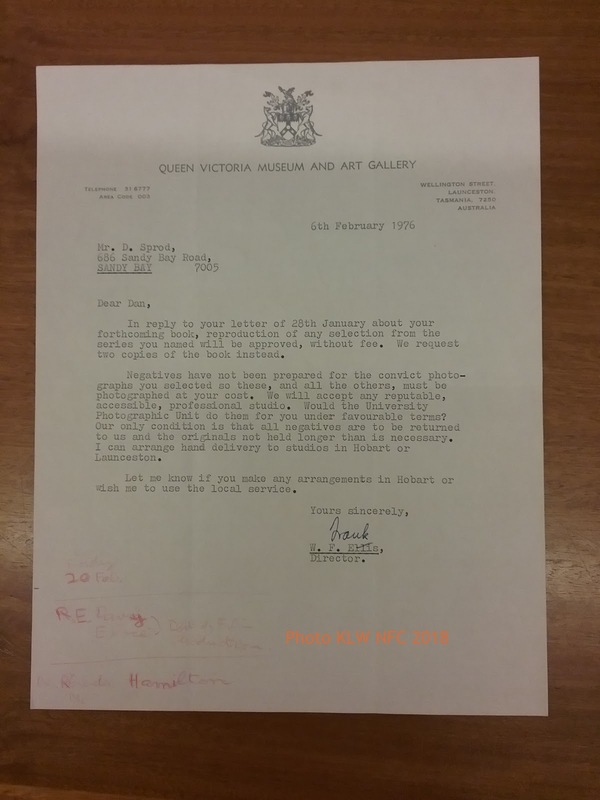 The six mugshots which Dan Sprod requested from the Queen Victoria Museum and Art Gallery had not yet been copied, so no negatives were available, according to director Frank Ellis in his letter of 6th February 1976 (below). It was up to Sprod to make arrangements and pay for the copies. This lack of copies at the QVMAG led to multiple copying in the ensuing decade, notably by Chris Long in 1985 when he reproduced forty (40) or so black and white copies of Nevin’s 1870s sepia originals, but cleaned of scratches, cracks and marks, for reasons known only to Chris Long. The numbers cited are from the bottom of each oval photo. Negatives exist for these photos, I believe. Similar prints, glossy would be O.K. In 6 x 4 standard size? Something of this order would suffice. Negatives have not been prepared for the convict photographs you have selected so these, and all the others, must be photographed at your cost… all negatives are to be returned to us and the originals held no longer than is necessary. 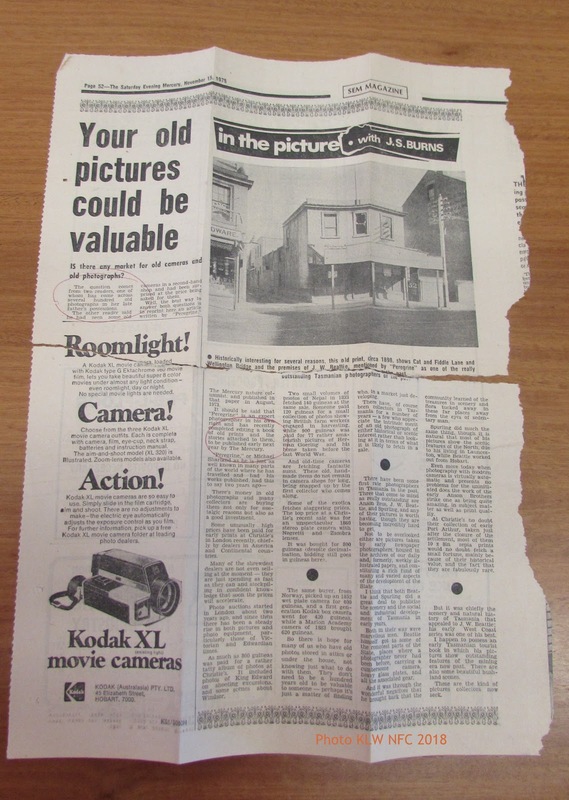 Were all negatives and originals returned to the QVMAG, then in 1976/1977? Probably not. A sizeable collection of seventy (70) or so, housed in an old leather album from the QVMAG, was given to the National Library of Australia in 1985 by John McPhee, curator in 1977 of the QVMAG exhibition of convict portraits with T. J. Nevin’s correct photographer attribution. In 1983-84 another fifty (50) or so were taken from the QVMAG to be exhibited at the Port Arthur prison heritage site, which were not returned to the QVMAG, deposited instead in the current Tasmanian Museum and Art Gallery collections and with an incorrect photographer attribution to the prison commandant A. H. Boyd. 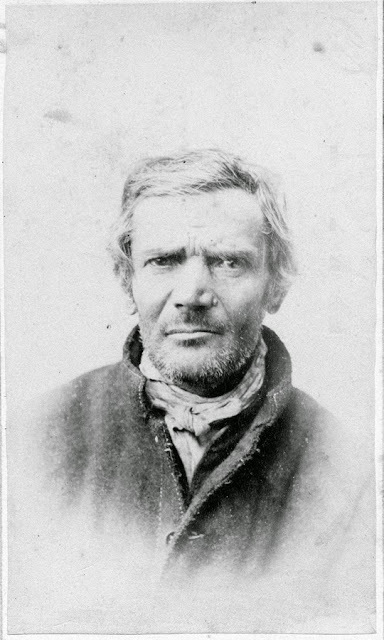 A veritable feast and frenzy of copying, lending, borrowing for exhibitions and publications at Hobart, Launceston, Port Arthur, Melbourne and Sydney has resulted in the dispersal (and disappearance) of so many of these police mugshots, all catalogued and referenced by the genteel photo-historian community as “convict portraits”. From John Watt Beattie’s use of these same police/convict photographs in the early 1900s for sale at his museum and shop in Hobart and for inclusion in travelling exhibitions associated with the fake convict hulk Success to Melbourne, Sydney, Adelaide and Hobart, the date “1874” has been fixed as the date when the photographs were taken, simply because Beattie et al wrote the inscription “Taken at Port Arthur 1874” on the versos of all those chosen for exhibition, when the actual date of photographic capture and place of imprisonment of the prisoner sitting in front of photographer Thomas Nevin varied greatly. From early February 1872 to 1886, most – if not all – were taken by Thomas Nevin and his brother Constable John Nevin in Hobart at the Hobart Gaol, the Mayor’s Court, and the Municipal Police Office, Hobart Town Hall. The date “1874” was used by Beattie et al to entice tourists to the ruins of the Port Arthur prison by association with the hugely successful novel by Marcus Clarke, For the Term of His Natural Life, published as a book in 1874. Victorian and Edwardian Hobart from old photographs / [compiled by] Dan Sprod. Publisher: St. Ives, N.S.W. : John Ferguson, 1977. Hobart (Tas. )–Social life and customs–Pictorial works. Other Authors: Sprod, Dan, 1924-, comp. The published introduction omitted the reference in the draft to Thomas Nevin altogether. Sprod’s earlier typed draft mentioned “a Mr. Nevins” who photographed Bock’s studio, The City Photographic Establishment at 140 Elizabeth St Hobart after the departure of Alfred Bock to Victoria in 1867. 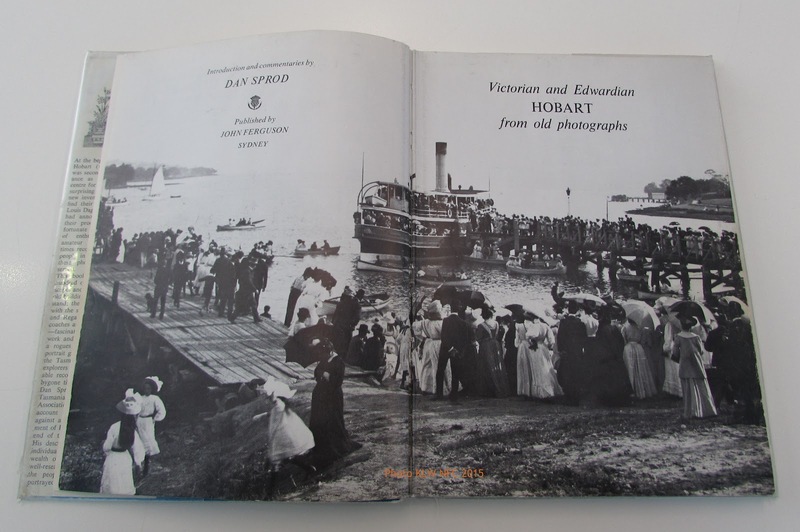 The photograph was on display at the Allport Museum in Hobart at the time Sprod noted it. The “s” which Sprod has appended to “Nevin” – i.e. Nevins [sic] – had appeared on both Nevin’s early photographic stamp and in his newspaper advertisements while operating from his New Town studio premises until 1867. But where Dan Sprod found the information on Thomas Nevin in order to use the “Nevins” spelling with the “s” and not T. J. Nevin or Thos Nevin which appeared on Nevin’s later studio stamps and impress, is not listed in any of his drafts or in the final publication. 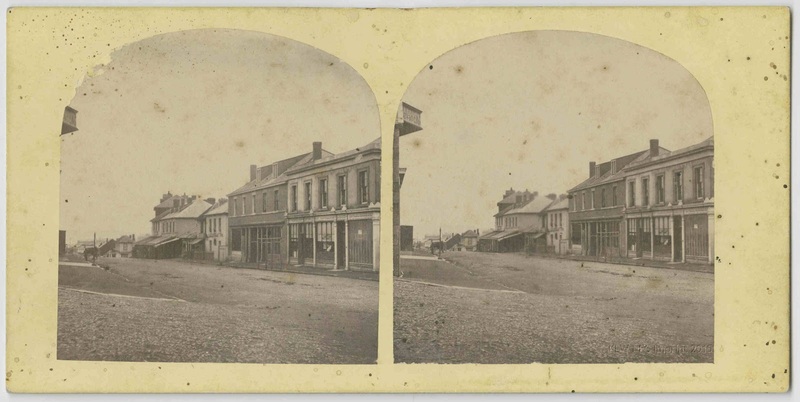 In his draft papers of 1976, as well as in the book, Dan Sprod raised the issue of the missing five calotype views of different localities in Hobart taken in 1853 by Douglas T. Kilburn. Kilburn tabled the views at the Royal Society of Tasmania on 3rd December 1853, the day he delivered a lecture on the calotype process to the Royal Society. It was one of the first photography lecture-demonstrations and was published in the Society’s journal in January 1854. Sprod wrote to London’s Fox Talbot Museum hoping they may have been deposited there after they were exhibited at the Paris Exposition of 1855, without luck. So it seems that Kilburn’s Hobart calotypes were missing earlier than 1976 when Sprod searched for them, or indeed they are extant in public collections with incorrect attribution to another calotypist. 172. Right. Not Greece but Van Diemen’s Land, ca. 1860. 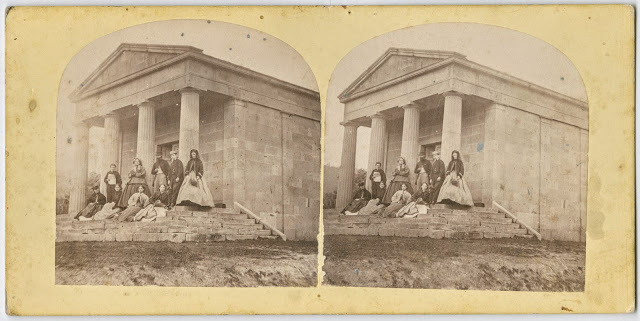 Lady Jane Franklin’s romantic ideas found expression in this tiny Greek temple, erected in 1842-43 on her Lenah Valley estate, Ancanthe, The building, which still stands, was intended as a museum, particularly for indigenous products. Group on the steps of Lady Franklin’s Museum, Ancanthe, Kangaroo Valley, Hobart. 163. 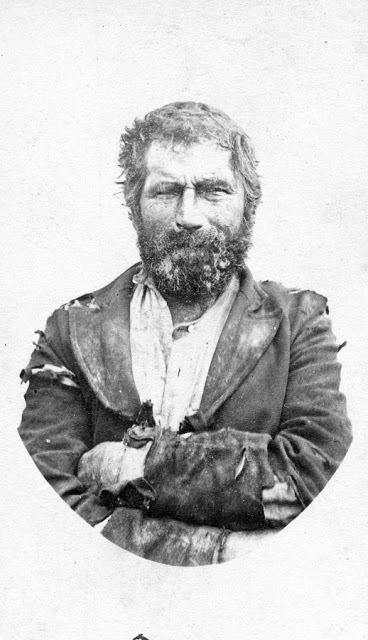 Nathan Hunt, arrived by ship Elphinstone, 28 July 1842, age fourteen, “character very bad”, offence – stealing a watch. This portrait and the three below, from Beattie’s collection, were taken at Port Arthur in 1874, three years before the convict station was abandoned. 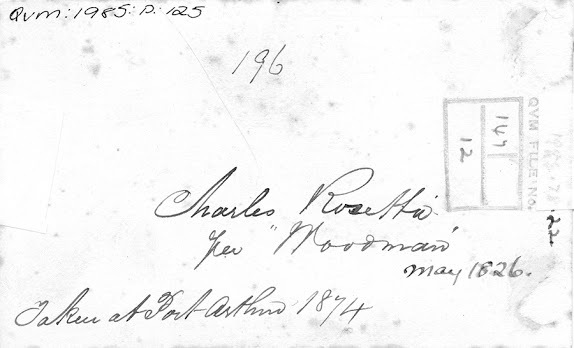 Thomas Nevin’s original unmounted sepia cdv of prisoner Charles Rosetta was also printed as a mounted cdv, numbered recto and and transcribed verso with Beattie’s selling point; “Taken at Port Arthur 1874“. Charles Rosetta was in fact photographed by Thomas Nevin on Rosetta’s discharge from the Hobart Gaol, 6th December 1876. 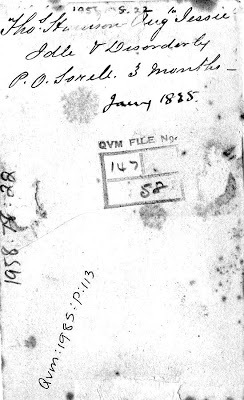 The details of the prisoner’s arrival, his ship, his crime in some instances, and the phrase “Taken at Port Arthur” has become conventionally accepted, but it is not factual: Beattie et al wrote the name of the prisoner, his ship of arrival, the date 1874 and the prison as Port Arthur on the versos of dozens of cdvs mounted in oval frames purely in the interests of promoting tourism to Tasmania on behalf of the government in the early 1900s. Rosetta’s cdv (above) is typical of the treatment. 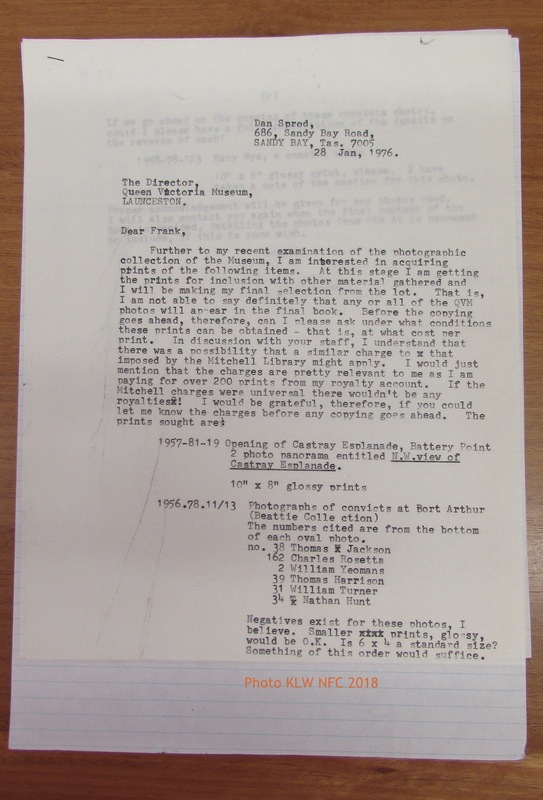 Dan Sprod had requested a copy of the photograph of prisoners Thomas Harrison and William Turner along with four other prisoners in his letter of January 1976 to the QVMAG, but the photographs of Harrison and Turner were omitted in the final book publication. The same prisoner photographs – of William Turner, Thomas Harrison and Nathan Hunt – were sent to an exhibition to mark the centenary of the Art Gallery of New South Wales, Sydney in 1976, several months before the publication of Sprod’s book, which may account for the selection, though not for the fact that Sprod omitted Thomas J. Nevin as the photographer and included only his speculation about Alfred Bock and Samuel Clifford. The AGNSW 1976 catalogue was written by Daniel Thomas, titled “Australian art in the 1870s“, Art Gallery of New South Wales, Sydney: 25 June-2 August 1976; National Gallery of Victoria, Melbourne: 28 October-21 November 1976, with information from Geoff Stilwell at the Allport Museum, Hobart. 116. William Turner, Transported Lord Goderich (Boy’s ship), 1811-1841. 118. Thomas Harrison, Idle and disorderly. Three photographs, carte-de-visite size 10.5 x 6.5 cm, 4½ x 2½ in, each inscribed (on back) as above, and printed T. J. Nevin, 140 Elizabeth Street, Hobart Town. From a set of over 40 convict portraits made in 1874. Catalogue No. 116. William Turner, Transported Lord Goderich (Boy’s ship), (18/11/1841). Some of the seventy cartes-de-visite identification photographs of Port Arthur convicts taken in the 1870s (QVMAG) at about the time the settlement was closed (1876) have been attributed to Nevin because they carry his studio stamp. He possibly held the government contract for this sort of criminal recording work, although Long believes that he was merely a printer or copyist and suggests that the most probable photographer was the commandant A.H. Boyd. 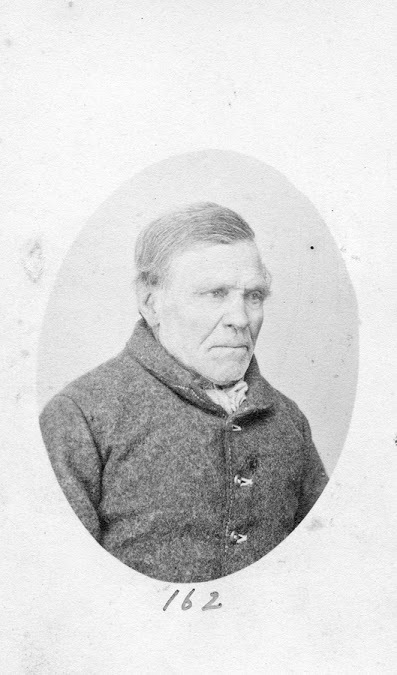 However, professional photographers were employed to take identification photographs in Australian prisons from the beginning of the 1870s (see Charles Nettleton) and while a collection of standard portrait photographs and hand-coloured cartes-de-visite undoubtedly by Nevin is in the Archives Office of Tasmania no photographs by Boyd are known. 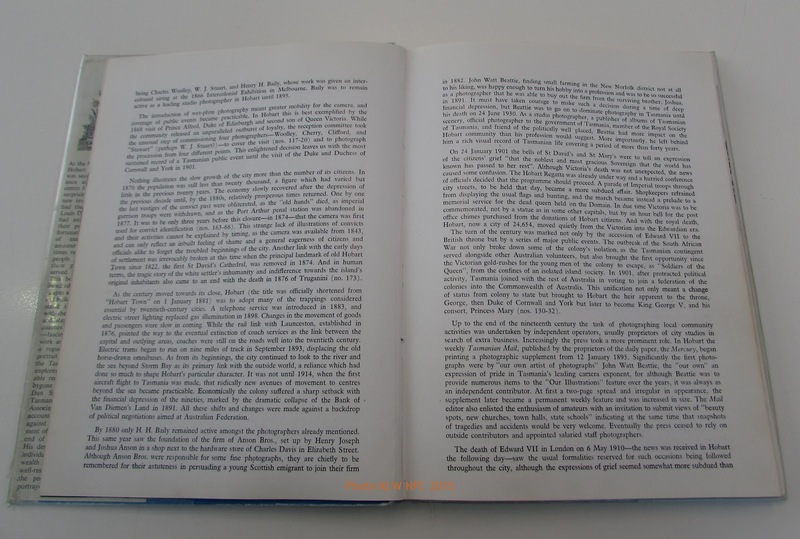 The Dictionary of Australian artists : painters, sketchers, photographers and engravers to 1870, edited by Joan Kerr. Publisher: Melbourne : Oxford University Press, 1992.